It was that time again: the “I’ve been putting off this haircut for months and if I go one day longer I’m going to scream” hair appointment. After talking about needing to get my hair cut since, oh, November, I scheduled an appointment at Alchemy on Commercial Street here in town. When I got there, Sa’dia asked me what I wanted to do. I had one goal in mind: to donate my hair. Then I figured we’d go from there. This was the second time I’ve decided to donate my mop to help make wigs for people stricken with cancer or other diseases. The first time I donated, I cut my hair right as my mom started her chemotherapy treatments. Because of my mom’s health and the circumstances, I sent my 10 inch ponytail to Pantene’s Beautiful Lengths program, which creates wigs specifically for women who are battling cancer. It was during this time that I learned it takes 6 ponytails to make one wig, which is when I decided my goal was to complete one wig. Hypothetically, anyway. The girls at Alchemy salon said they had a few other ponytails to send in, so when they volunteered to send mine to Locks of Love, which creates wigs for children with health issues, my response was, “Let’s do it.” Snip went 12 inches, back came my bangs, and I ended up with a cute little swing bob haircut that I somehow don’t mind now that it’s bleached and colored neon pink. So far, I’ve been told that I look like Ramona Flowers from Scott Pilgrim vs. The World, which I love. 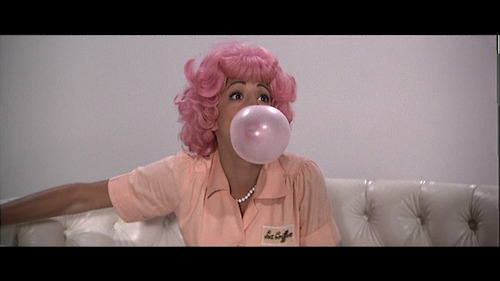 And Frenchie from Grease. Either way, I am smitten with it. I absolutely adore my hair right now. And somehow, I’ve avoided the do-you-mean-to-tell-me-you-butchered-then-dyed-those-beautiful-curls conversation with my mom, though I might just have a solution that she’ll like to hear. I plan on telling her it’s pink for breast cancer awareness, which was actually my original intent. 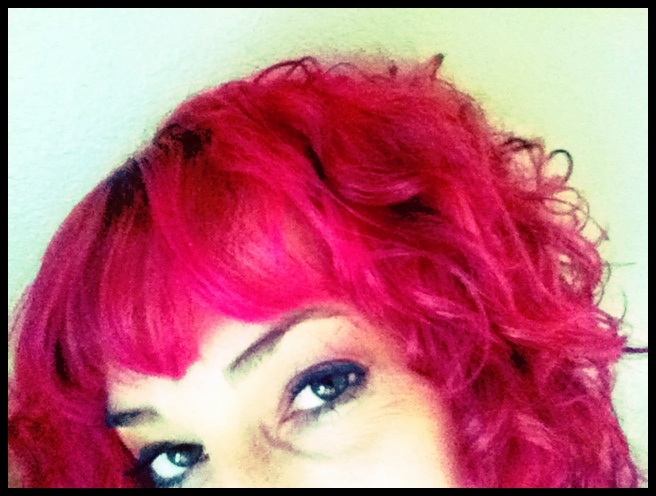 if I could wear that color Id’ do it to….but hot pink on ANY 50 year old woman is a no-no…..hahaha! Great idea donating your hair, I’ve lots of friends and some family who have done that…a wonderful reason to do so….